In an age of automation and price over value, Made-to-Measure clothing, like a gourmet meal, serves to counteract these trends. At beecroft & bull, the process of creating custom clothing for you begins with thorough measurements. Next, we discuss cut, fabric, and other details. Then, one of our prestigious manufacturers begin to create your one-of-a-kind item. Generally, custom clothing can be created from start to finish within four to six weeks. We can accommodate rush orders in certain cases. No appointment is necessary, although scheduling one will allow our specialists to prepare various options for your consideration. 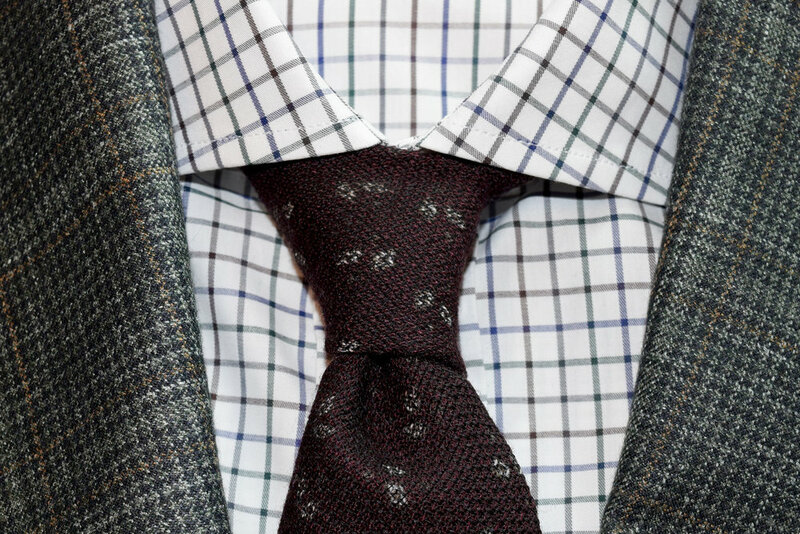 To make an appointment for a fitting, please call the beecroft & bull store nearest you. Can’t make it out to the store for a necessary alteration? Need a custom suit, but don’t have time to come in for measurements? Want three pink polo shirts delivered tomorrow? No problem — we’ll come see you, at no extra charge. Want to update your wardrobe, but not sure where to begin? Let us come to your home for a complimentary closet consultation. Our style consultant will go through your wardrobe with you, piece by piece, to help determine what can be updated, what you should consider adding, and what should be discarded. To schedule a consultation, call the beecroft & bull store nearest you. Simple alterations and repairs are provided free for the life of the garment. Most alterations take less than one week. But if you need it sooner, let us know and we’ll work hard to make it happen. © 2007-2016 Beecroft & Bull. All Rights Reserved.